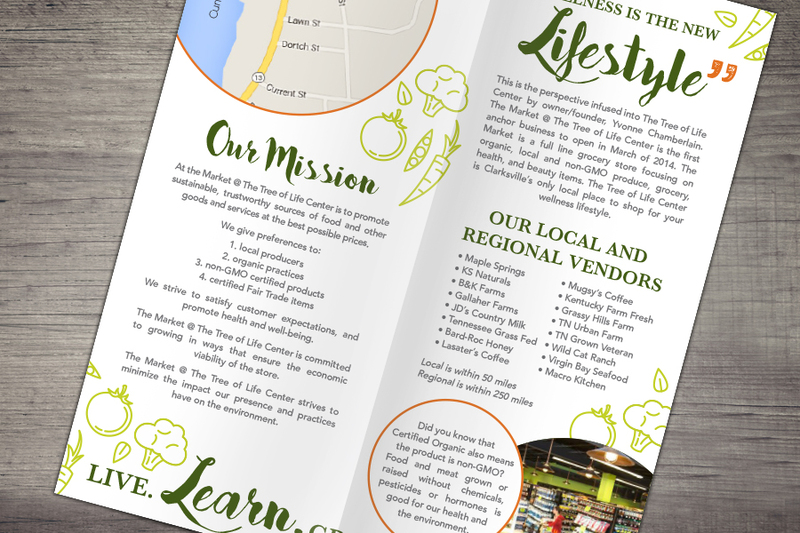 Tree of Life is a store dedicated to healthy food and a healthy lifestyle in Clarksville, TN. They give preferences to local farmers and those that reduce environmental impact. I was tasked with rebranding their old brochure into something new. I was not responsible for the logo or coupon on back. I was responsible for new font choices, layout, and veggie pattern. This project was created while I was at MediaWorks.